Unfortunately, the law with respect to Florida Friendly Landscaping is still developing and is largely unsettled. Nevertheless, this Article will endeavor to explain the status of the law as of the date of this Article. “(b) Homeowners’ association documents, including declaration of covenants, articles of incorporation, or bylaws, may not prohibit or be enforced so as to prohibit any property owner from implementing Florida-friendly landscaping, as defined in s. 373.185, on his or her land or create any requirement or limitation in conflict with any provision of part II of chapter 373 or a water shortage order, other order, consumptive use permit, or rule adopted or issued pursuant to part II of chapter 373.” (Emphasis added). Nothing in the Florida Friendly Landscaping statute necessarily eliminates the approval process required by the governing documents of a Homeowners Association. Stated differently, if the Declaration of Covenants and Restrictions requires that modifications be approved by a board or a committee, this requirement is not necessarily negated by the enactment of this statute. 2. cause property values to decline. The purpose of requiring approval for landscape modifications or requiring certain landscaping is to protect the uniformity, aesthetics and property values of the community, and the statute arguably should not obviate this objective. Given the above, Clayton & McCulloh does not believe that Florida Statute §720.3075 (“Act”) permits owners to automatically and unilaterally install any and all Florida Friendly Landscaping they wish. Similarly, we do not believe the Act permits owners to install Florida Friendly Landscaping in any location they wish. 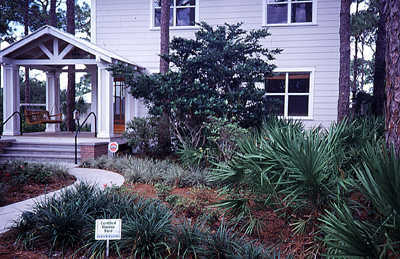 Rather, the Act provides a basis upon which owners can plant Florida Friendly Landscaping, despite restrictive provisions in an Association’s governing documents, provided it is planted pursuant to a properly qualified plan and further provided it utilizes the species of Florida Friendly Landscaping (i.e., foliage) reasonably approved or accepted by the Association. As suggested above, before the Act should invalidate or render one or more of the landscape requirements set forth in an Association’s Governing Documents unenforceable, arguably an owner must have a proper landscape plan prepared. Additionally, if required by the Association’s Governing Documents, such owner ostensibly must submit and obtain the requisite approval of the Association. The University of Florida and the water management districts have taken the lead in the education, implementation, classification and certification of Florida Friendly plant species. 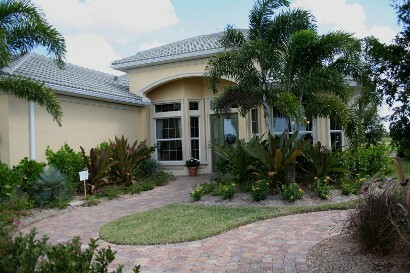 Additionally, they have drafted guidelines and other resource materials regarding Florida Friendly Landscape. These materials likewise appear to take the position that the Act (i.e. Fla. Stat. §720.3075) does not invalidate community Association architectural control provisions. Moreover, as there are over 1,000 Florida Friendly plant species, a Community Association should be able to establish a narrower list of acceptable plant species so as to keep a uniform and cohesive appearance throughout the community. Given the above, it is Clayton & McCulloh’s position that the Act should not expressly extinguish an Association’s authority to approve exterior modifications, including its authority to reasonably regulate Florida Friendly Landscaping to ensure consistency with its governing documents and the overall landscape scheme of the development. To decide otherwise arguably flies in the face of the legislative intent and stifles the authority of all homeowners Associations to enforce their restrictive covenants. 2. the species of Florida Friendly Landscape sought to be planted and maintained are consistent with and conform to those approved by the Association. (3) the owners have the unilateral right to incorporate Florida Friendly Landscaping of their choice on their lots. Consistent with the above, we would recommend that each of our Association clients review the University of Florida’s and the Water Management District’s lists of Florida Friendly Landscaping and choose a significant variety of species that the Association will permit. Clayton & McCulloh likewise recommends that our Association clients retain the services of a landscape architect or other professional to assist with this endeavor as well as to evaluate any plans which are submitted. Again, the fact that the Association approves a certain species of plant does not, by itself, necessarily eliminate the Association’s right to evaluate the placement of such landscaping, etc. While an Association needs to comply with the Act, it generally should have the right to approve the landscaping, evaluate the sufficiency of any landscape plan and/or ensure its compliance with the Act, provided such right(s) are provided for in the Association’s governing documents. Provided a Homeowners Association has architectural control or approval rights, as well as a proper Florida Friendly Landscape provision, arguably, the Association should be able to require owners to provide to the Association for approval a professionally-drawn landscape plan for the area proposed to be altered, which plan should contain a comprehensive plant list consistent with the Association’s approved species of Florida Friendly Landscape. Hopefully the approach set forth herein will enable an Association to require landscape changes to be generally consistent in appearance with the balance of the community. Note, in certain circumstances, a Board-adopted rule, regulation, policy and/or procedure may suffice.